HIV and AIDS are not the same thing. Rather, the latter is what manifests after the former has developed and taken over the body’s immune system. The symptoms of the virus are different at each stage of infection. While they are common, not every infected individual will have the same symptoms. Why? Because each person is uniquely different. Therefore, the virus will present itself differently in each system. Some infected individuals do not get any symptoms at all for many years. This is the immediate stage after infection. Early symptoms will develop 1-4 weeks after contracting the virus. Some of them may feel a lot like the flu. For this reason, alone, they are not a sufficient indicator of infection. The symptoms clear up within a short time, to give way to the next stage of infection. This is also known as the latent stage of infection. It can have an extended life span of up to years, depending on factors such as one’s lifestyle, and the individual’s body system. At this stage, there are no visible symptoms. An individual appears healthy and may not even be aware that they are infected, if they have not been tested. At this point, the immune system is terribly damaged and weak. One becomes susceptible to opportunistic infections. These are infections that you would otherwise have easily fought off. However, owing to the poor state of immunity, they become serious, life-threatening situations. 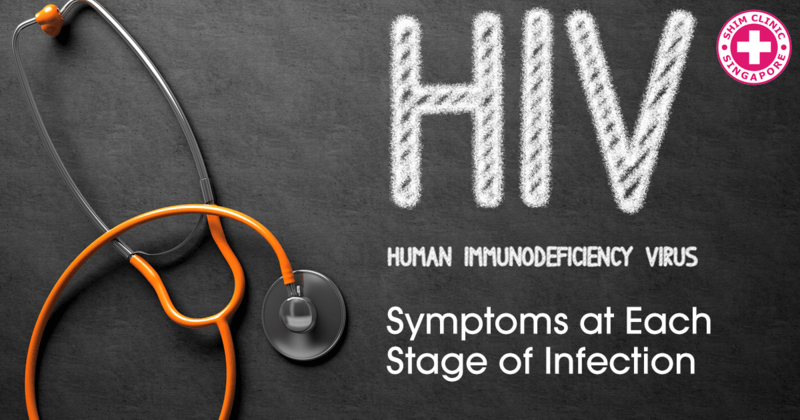 It is at this stage that HIV is said to have progressed to AIDS. It is important to note that at all stages of infection, whether the signs are visible or not, transmission from one person to another is possible. In the primary stage, a high amount of the virus is present in the body. You are considered highly contagious at this stage. At the latent stage, even while the symptoms may not be visible, you can still transmit it to an uninfected partner. However, if you are on a strict ART therapy, the virus is suppressed. This means that you are less likely to pass it to another person. The importance of HIV testing cannot be emphasized enough. You cannot rule out the possibility of being infected just because the indications are not visible. If you do believed you have been exposed to the virus and you are still within 72 hours after exposure, come to our STD clinic for a test and a prescription of HIV PEP. This is particularly relevant if you have exposed yourself to the risk of contracting it. HIV/AIDS will manifest itself in different ways for every individual. While the symptoms are common for most people, they cannot conclusively be relied on. HIV testing as well as prevention methods like the use of condoms or PrEP is mandatory! ← Gonorrhea: Might You Have It?